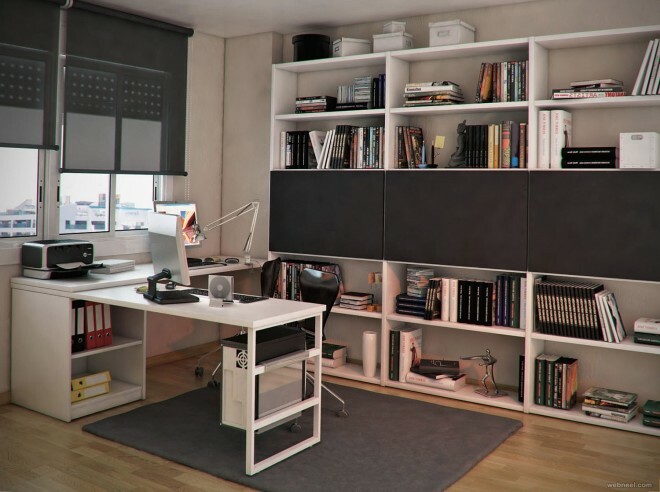 Modern and Home Office design Ideas : Are you a bit cramped for space or are you looking to add some splash of colour to your office, here are some awesome tips for both home office design and modern office design. 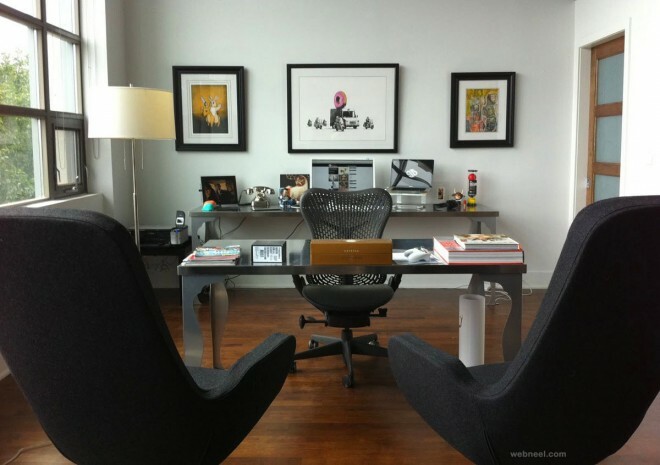 "A well designed office may cost a little more, but it is much cheaper than a poorly designed one. 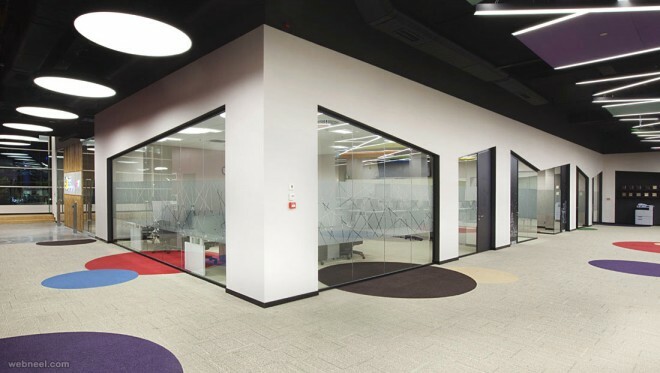 A non-functioning office wastes time and causes frustration because it can hinder basic tasks," says Paul Kelly, head of marketing for Morgan Lovell, a leading office interior design, build-out and refurbishment specialist with offices across the UK. 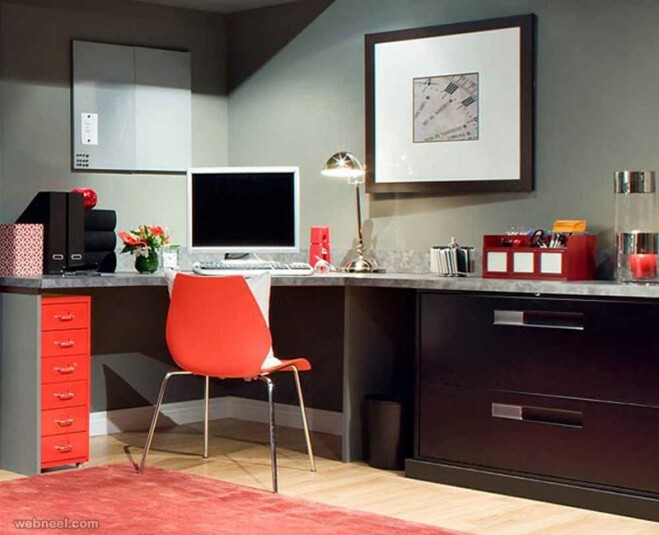 In this post we have added 30 Home office design ideas and Modern office design ideas. 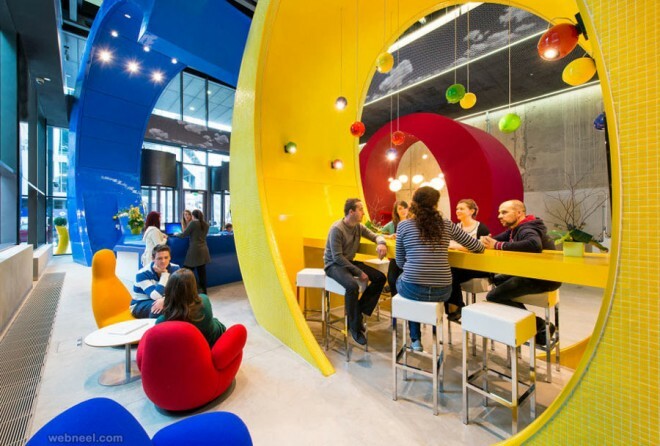 "Good office design solves these problems, but great office design goes one step further. 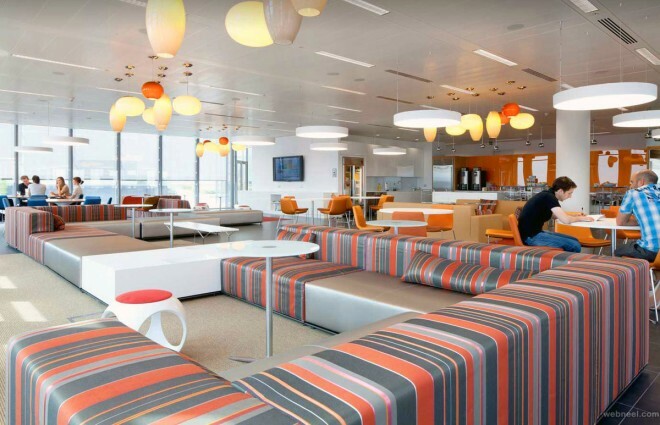 By opening up new lines of communication, giving staff different environments for different tasks, and making them excited about being in the office, a great office design can invigorate a workforce”, according to Kelly. 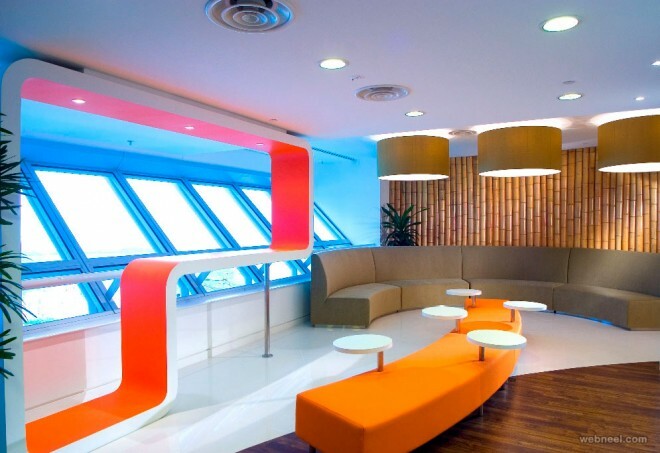 Here are some useful tips for a professional and beautiful office design. 2. 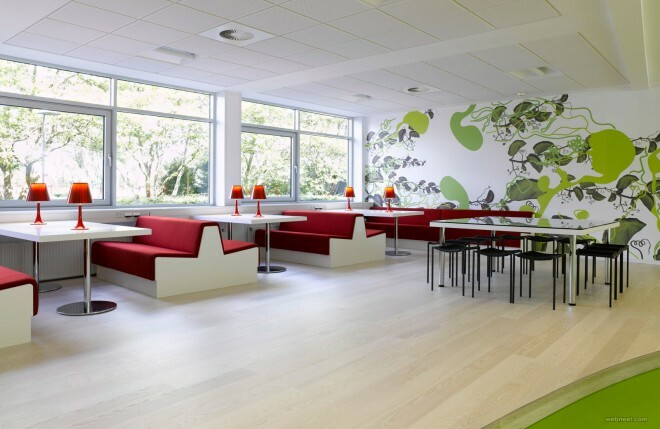 Create a meeting room or hall for face to face discussions, parties and get togethers. Mingling with other employees, promotes personal confidence and it can also serve as a place for information exchange. 3. 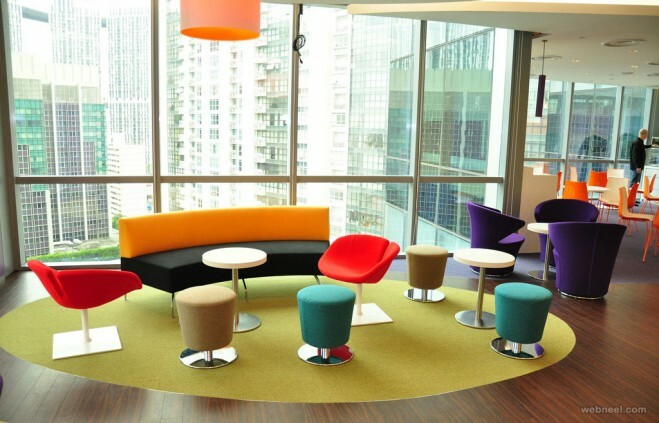 Create facilities that allow for moments of quiet, contemplative reflection too. 4. Configure your workplace to meet the demands of current technologies but be prepared, change is inevitable and flexibility is crucial. 5. Employees should be able to function in their workplace at no cost to their physical wellbeing. Adopt an ergonomic approach to the design of your office and furbish it accordingly. 6. Studies have shown clutter can increase stress and impact on performance. 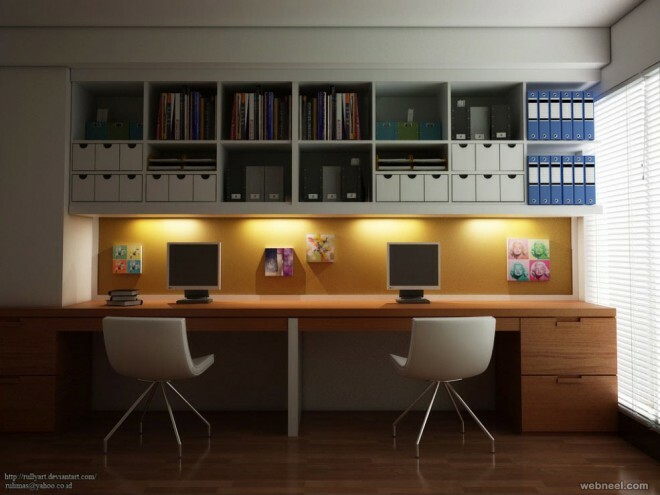 Provide modular storage space to reduce clutter and make it easier for staff to stay focused. 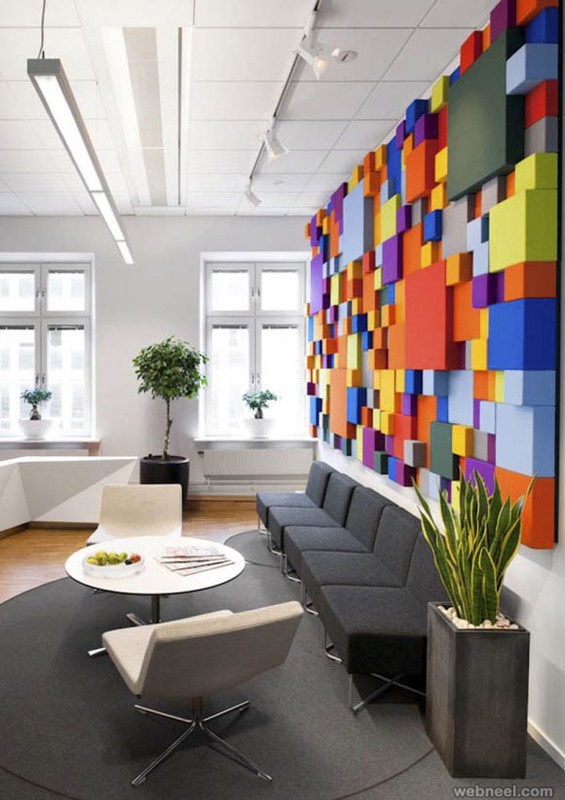 Offices don’t have to be plain and grey, especially since different colours have been shown to stimulate different parts of the mind. According to colour psychologists, blue helps productivity while yellow can help increase creativity. 1. 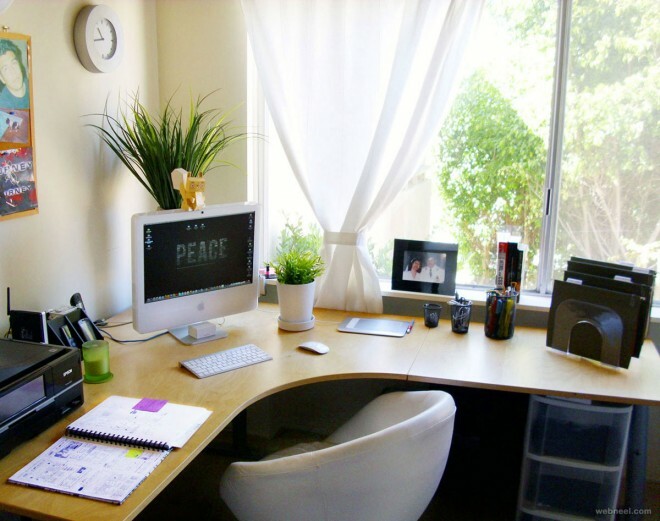 Before setting up a home office as your workplace, you might be thinking of creating a bedroom into your workplace. 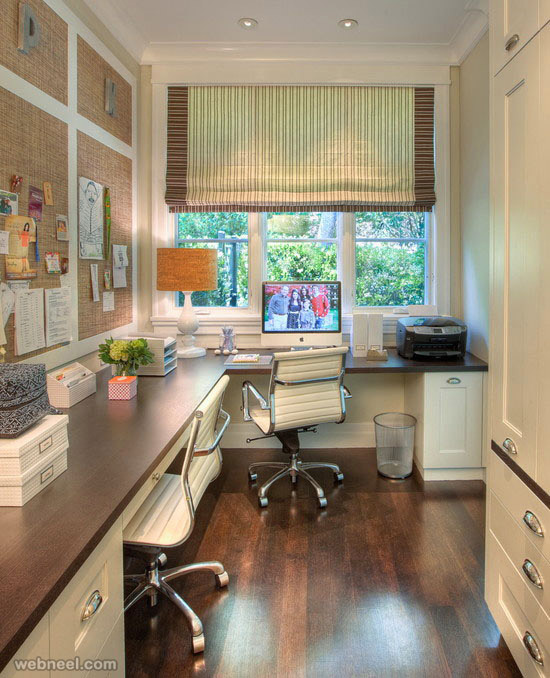 Well just a small unused corner, with a bit of wall is more than sufficient for design a home office. 2. 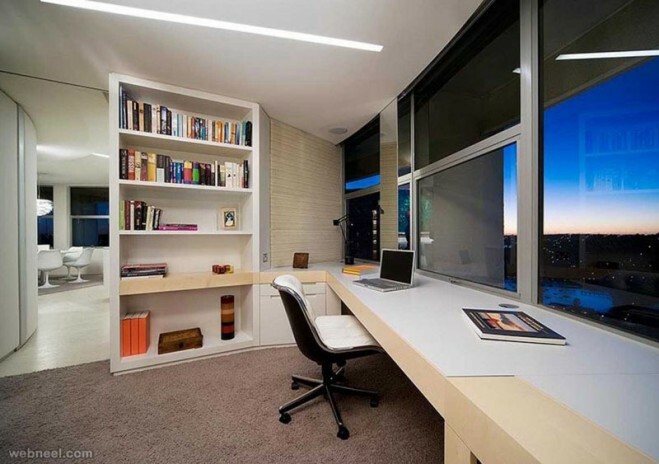 Set a desk and chair in front of a window and fill an empty corner with a tall bookcase. A few important pieces like desk, chair, floating shelves etc can transform a quiet sleeping space into an efficient work area. Just make sure the color palette matches with one another. 3. If you are going to share the workstation with your child for his homework, think bright and go for bold colors like bright red. 4. If you have a corner in your room, sneak in a chair, table and you can add some floating shelves, so you can also use to read your favourite book or newspaper. Hang a decorative curtain, so you can also enjoy you privacy, when you are not using the station. 5. It’s good to invest in a good and comfortable office chair, as you will be spending most of your time in seated in one of those. 6. 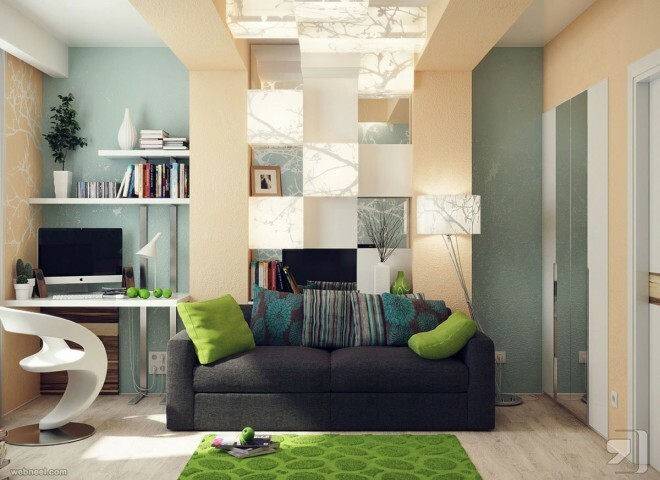 Add some pep to your life and paint your walls in bright colors which you love. Prop your furniture near a window, so at times you have something better to stare at rather than a wall. If it’s a windowless place, then add a pretty picture frame, to give some color to your work place. 1. 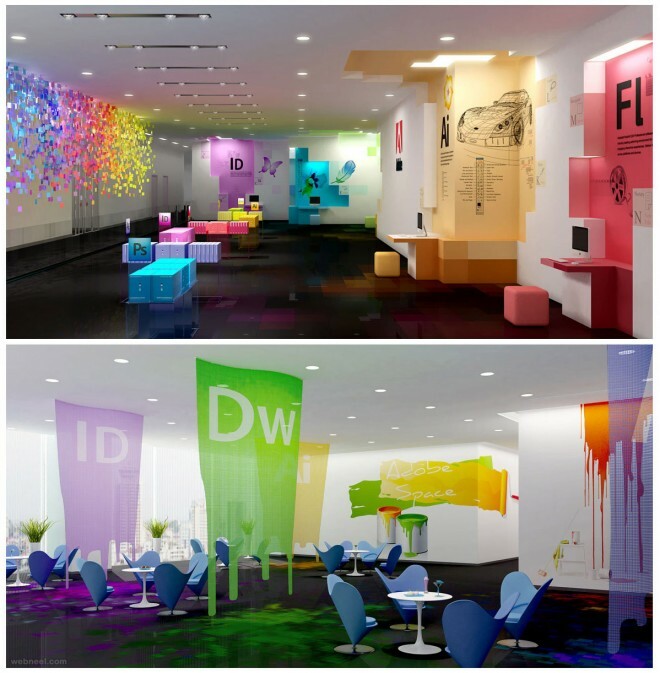 In order to make your workplace productive and pleasing environment to work at, designing is most important for all great offices. 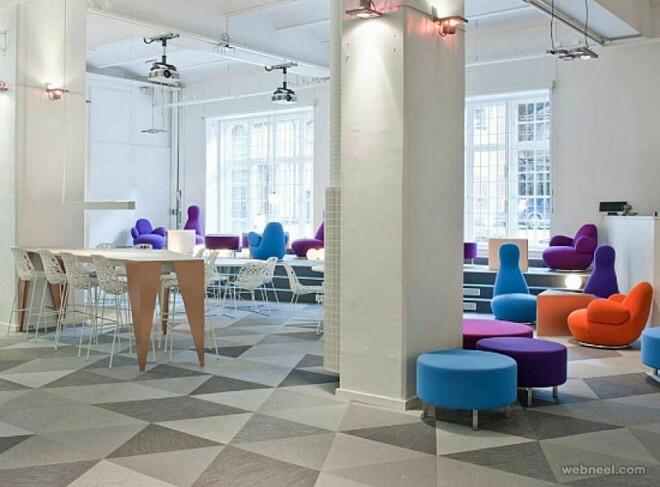 Let me share some modern office design ideas and tips for a great workplace. You don’t have to rely on design firms, if you are short on budget. 2. 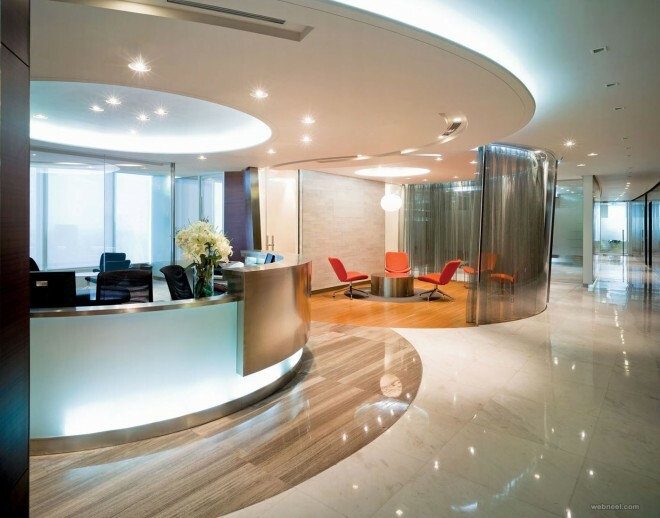 Modern office design can be a bit like attending a fashion show, clients see particular features they like and, unable or perhaps unwilling to embrace the entire concept, they attempt to include these within existing structures. 3. Make sure you have enough natural light exposure for all employees. Natural light works as a motivating factor for people. Did you know that natural light reduces eye fatigue and greatly reduces headaches? 4. 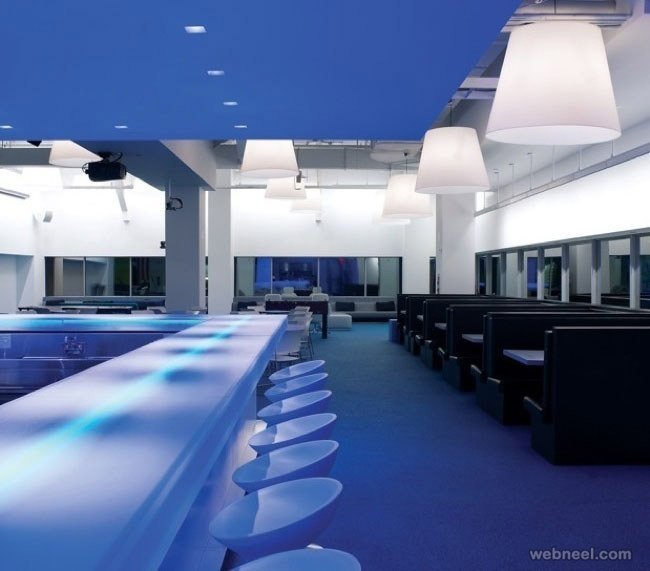 Create an open environment for people, remove the interior design walls and use glass walls in private offices. 5. 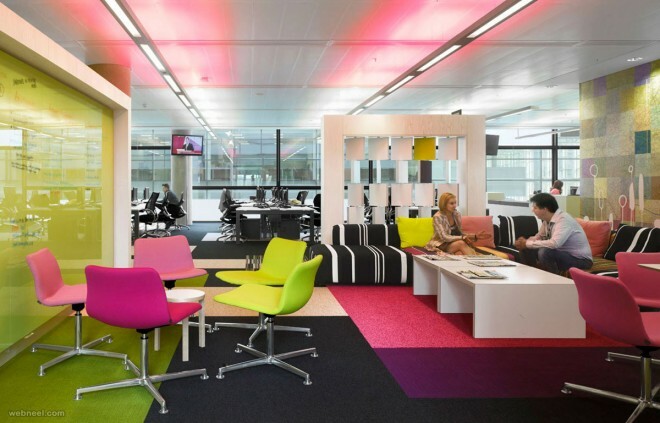 Circulation space and large desks are important in a modern office design. You don’t want employees bumping on each other while trying to get a file. 6. If it’s a small office, keep the place neat and tidy as everything will be open for all clients. 7. Invest in good furniture. 8. Brand your workplace. Branding should not stop with the business card and website. It should be infused into the space where everything happens. It should be all around the employees and it should speak to the clients. 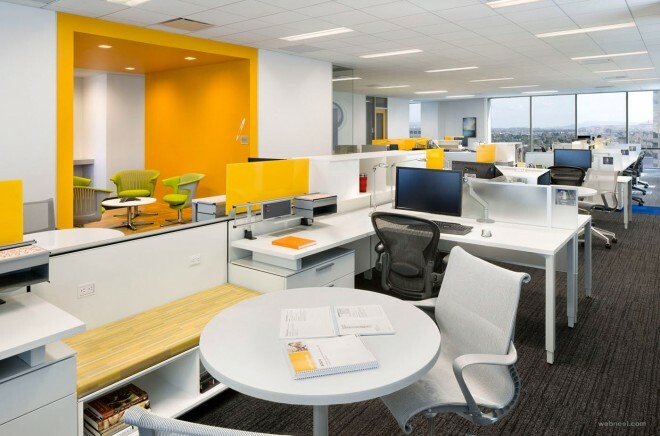 If you’re redesigning anoffices, speak with your employees about any proposed changes – it’s crucial they feel involved so they stay engaged with your company. That way they’re more likely to align their creativity with your long-term vision. 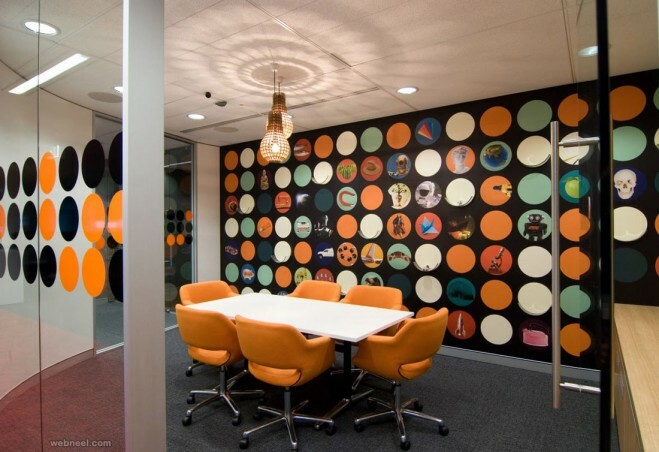 Offices can be pleasant to work at with these amazing design tips. It's important to have a work friendly place to let the creativity flow through. A pleasant environment always triggers more work productivity, so use these clever designing tips to keep the clutter away from the workplace for a more robust environment.